With entrepreneurs groaning about the lack of technology co-founders and CTOs in the market and Code.org projecting there will be one million more tech jobs than people in 2020, intensive developer programs are popping up all over the country in an attempt to close the skill gap. Time: Each class session lasts nine weeks with the option of an additional three weeks of learning in exchange for assisting teachers. On-campus requirements are Monday through Friday 9am to 6pm. Typically, students will invest 800 hours in the program and spend upwards of 10 to 14 hours a day on coding. Each location will enroll about 13 nine-week sessions a year. Class size: Dev Bootcamp accepts between 20 and 25 percent of applicants, resulting in each class having between 15 and 20 students. Cost: The program's cost is $12,200, but if you get hired through one of their recruiters, $3,000 is reimbursed. And if you meet the criteria for its underserved market, like women, you can knock $500 of the tuition price. What to expect: Hands-on is the mantra at Dev Bootcamp. By having students actively involved in coding 90 percent of the time, Dev Bootcamp believes students will learn from their mistakes quicker and remember the process better. Classes may also use supplemental videos, tutorials and lectures, depending on the need. Dev Bootcamp offers mentorship from leaders in the industry and their contemporaries, as more advanced students may assist beginners. The program boasts a 90 percent placement rate in the first two to three months after graduation. Application process: Once you submit a video and an application, Dev Bootcamp will contact you for an interview. Once completed, you will get your answer within 24 hours. After accepted, you will be asked to complete prep work 60 days before your class starts. Currently, New York City, San Francisco and London. This summer, look for outposts in Boston, Hong Kong, Los Angeles and Sydney. Time: In this twelve-week program you can expect more than 40 hours a week of class time, plus an additional 20 to 30 hours on homework. Depending on the location, General Assembly (GA) will have between two and five classes a year. Class size: Approximately 20 to 25 students are in each class. Cost: The program will set you back $11,500. What to Expect: At GA, the structure is split between lectures and labs, with the latter taking up 60 percent of your time. Students work on individual problems and challenges daily and group projects weekly. After the program is completed, GA offers an opt-in, 3-month apprenticeship program, where students are paid $3,500 a month to work at a partner business. Between this program and direct hires, GA says it places more than 90 percent of students. Application Process: After submission and review of an application, a follow-up interview will occur and a decision will be made. Because GA does accept applications on a rolling base, they suggest you apply two months in advance. Time: AppAcademy's program lasts for nine weeks with 40 hours a week spent in class and an additional 40 to 50 hours of self study. Because of the long hours, its San Francisco location is zoned live/work, allowing for students to actually live in the office. Depending on the location, there are four to five class cycles a year. Class size: AppAcademy takes in between 30 and 40 students per class, which is less than 5 percent of applicants. Cost: Free to enroll, but they will take 15 percent of your first year's salary after graduation, which needs to be paid over the first six months after you begin working. If you choose to work with one of their partner companies, AppAcademy will refund $5,000 of your tuition. While the program has a strong emphasis on developers, it does offer an opportunity for entrepreneurs to join. 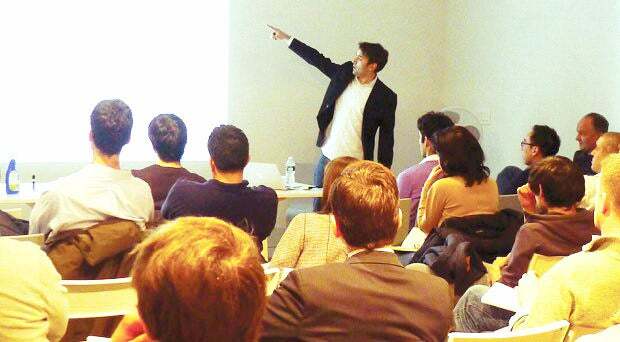 Once a startup is launched, AppAcademy asks for $12,000 paid over a six-month period. What to Expect: Keeping lectures at a minimum, the program is lab-based with 90 percent of student's time focused on coding in teams. Because of the intensity, between 10 and 15 percent don't make it through the program. For those who do, after the nine weeks are completed students will have an extensive portfolio and AppAcademy will provide assistance in finding entry-level developer jobs. One recent class had a 93 percent-job placement rate, while students pulled in an average paycheck of $83,000. Application Process: After submitting an application, you will be sent resources and a coding challenge. Once you complete the challenge, the team interviews you, providing another challenge. After completion, a decision is made within two days. 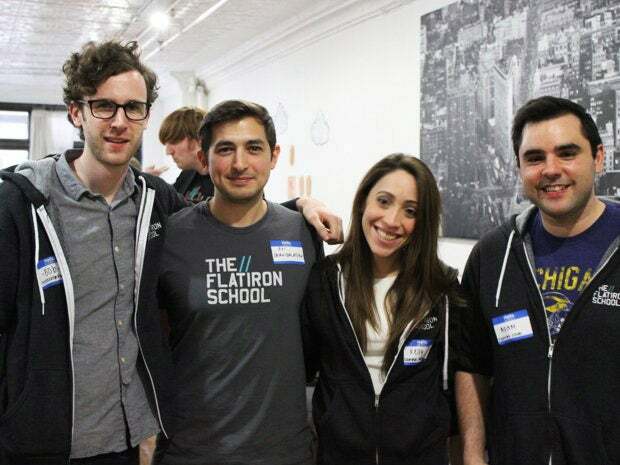 Time: Offered three times a year, The Flatiron School is a twelve-week program meeting for more than 40 hours a week on a 9am to 6pm schedule. Like the others highlighted, people can expect to spend a lot of time outside of class working on homework. Class Size: With its launch last year, the program has taken in 27 students in one class and 30 in the other, equating to a 10 percent acceptance rate. Cost: The program will set you back $12,000, but if you choose to partner up with a company in their jobs placement program, you will receive a $4,000 refund. Plus, the school offers grants and scholarships for an underserved market, like women. What to Expect: Before even setting foot in the program, you will be required to complete more than 100 hours of pre-work online. Once you begin your studies, the curriculum has a strong collaboration component, allowing you to work in teams on three to five projects throughout the semester. Towards the end, the school helps students to home in on a specialization, like front-end development. Application Process: After you apply online, they may contact you for a 40 minute initial interview. If you make it past round one, someone on the team will do a second interview focused on a technical project or challenge they want completed. Time: Each class session lasts ten weeks with students meeting Monday through Friday from 10am to 6pm. On average, students will devote between 20 and 40 hoursoutside of the classroom on homework and projects. 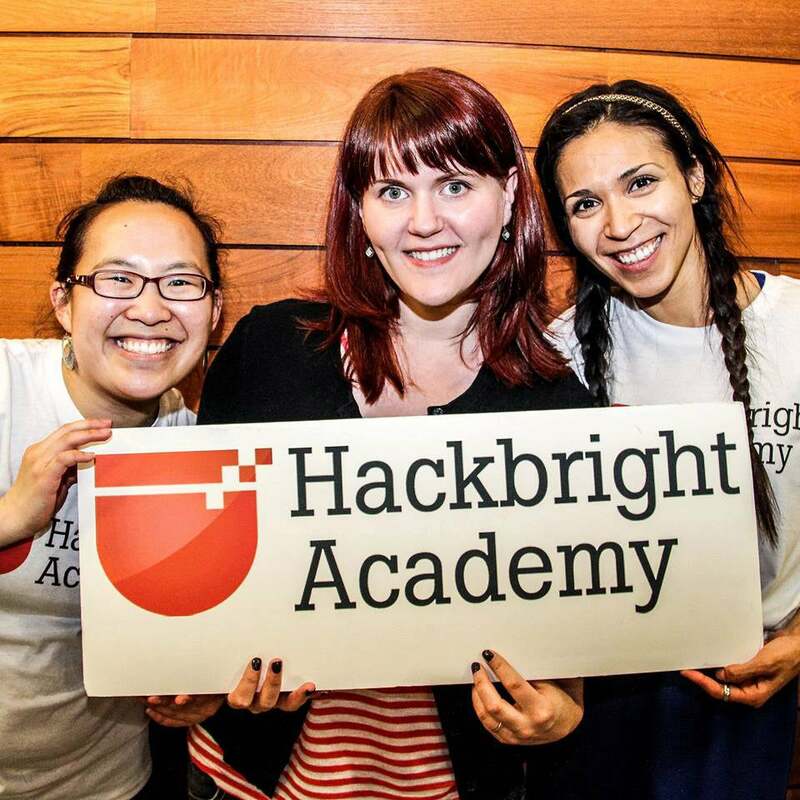 Hackbright Academy offers four, ten-week classes a year. Class Size: Hackbright Academy accepts about 30 students per class, which is less than 10 percent of applicants. Cost: The program costs $12,000 and this school will sponsor one student per class, providing a full scholarship. Recently, Hackbright teamed up with Facebook for an additional $12,000 sponsorship called Moms in Tech, which targets mothers who put their technical careers on hold for family life. If a student takes a position with one of their business partners, Hackbright Academy will reimburse $4,500. What to expect: The first half is focused on the fundamentals of Python, where modern web development technology along with computer science fundamentals will be incorporated into a project. The latter part of the program allows students to concentrate on a specialty that sparks their interest. Once the ten-week curriculum is complete, the women will be able to highlight their portfolio on career day, where tech companies like Pinterest, Google and Twitter attend. Hackbright has seen a 90 percent placement rate with the average starting salary being $85,000. Application process: After the initial application is submitted, the team will follow-up with the top 30 percent of applications for an interview. If you are lucky enough to make it to round two, be prepared for a problem-solving challenge. In what ways have you attracted CTOs or technical co-founders to your startup? Let us know in your comments below.